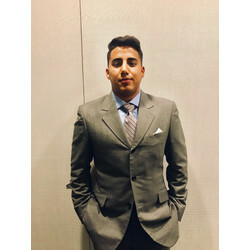 - Marcos is a Finance and Economics Student at Queens College, minoring in computer science. Prior to Queens College, he received his Associates degree focused in Business Administration and Marketing from Nassau Community College. He has a keen interest in acquiring skills and knowledge in the financial markets and investment banking industries. - Marcos is a mentee at Streetwise partners at the Morgan Stanley location. Basil And Prime Fine Food LLC.